Childhood Cancer Organizations Are Real-Life Heroes. The best organizations and resources in childhood cancer. *NEW | Embed Hope Portal On Your Website! The Hope Portal is a curated, community-driven directory of the best organizations & resources in childhood cancer. Add a directory of the best childhood cancer organizations to your website! Social workers are helping each other discover new resources. Know a great childhood cancer nonprofit? As pediatric oncology social workers, you recognize that the sheer volume of information available on the Internet can overwhelm parents and that some parents don’t feel confident evaluating the credibility of this information. At the same time, social workers carry heavier workloads than ever and may not have time to search for and evaluate resources they aren’t already familiar with. 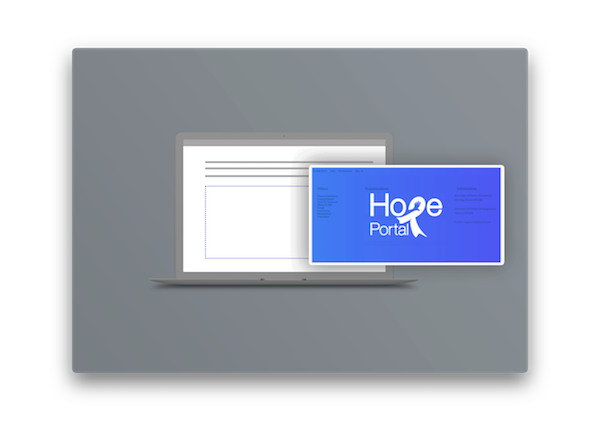 The Hope Portal was designed to help you find the right resources, faster. Join the best organizations in childhood cancer, for free. The Hope Portal features the best, most active organizations in childhood cancer. Locating trustworthy information and support resources on the Internet can be challenging and time-consuming for families, especially when they are in crisis. We are grateful to The Children’s Center for Cancer and Blood Diseases at Children’s Hospital Los Angeles for being among the first to recognize and tackle this issue. With generous support from the Ronald McDonald Children’s Charities, the first HOPE Web Portal was launched in 2005 with the goal of organizing vetted resources to help young patients with cancer and blood diseases.